Schumer compared the BDS movement to the radical Students for a Democratic Society, which in the 1960s launched mass demonstrations against the US government on campuses across the country. 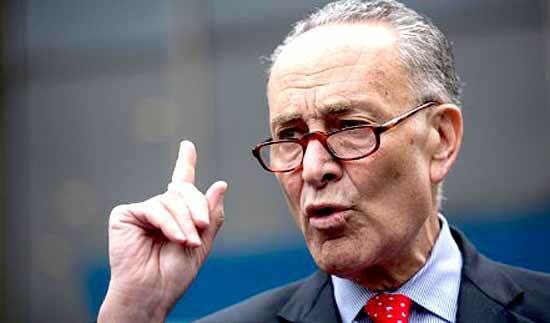 “I applaud the governors of New York and California for” passing anti-BDS legislation, Schumer added. While anti-Semitism is enjoying a renaissance on American college campuses, Schumer said, the problem is far worse in Europe. Schumer noted that the hatred of Israel and correlating anti-Semitism is on the rise on both the fringe right and far-left in Europe, citing the UK Labour Party under Jeremy Corbyn as an example. “Europe has shown how anti-Israel and anti-Semitic the BDS movement really is. Far-right parties are experiencing a rebirth, and far-left parties… like the Labour party under Corbyn are increasingly anti-Israel. “Terrorism and violence against Jews is on the rise, from vandalizing synagogues to thehorrible attack on a Jewish grocery in Paris. It is no wonder that last year in France, home to the largest Jewish population in Europe, set a record for the migration of Jews to Israel.